Dom Barrow plays in second row for the team. He is known to have an intensity in his games that is infectious. The director of rugby for the team thinks that, if every member would have his attitude, the whole team would perform better. 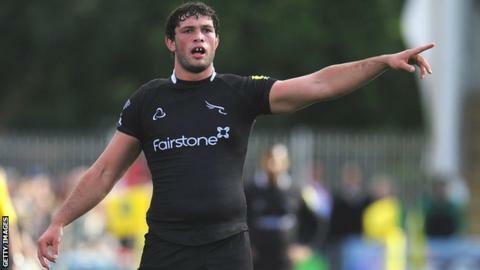 He was a lock forward, 23 years of age, when he was signed on for Leicester Tigers from Newcastle. Since the coming of Barrow into the team last summer the team has definitely been playing better. In the beginning he had 20 starts and about four appearances. By the end of the first campaign it was found that he could even replace Ed Slater from the second row as he was in good form. If you look at him you would know that he is a second rower who has a tall and menacing attitude. But that is half of the story as his attitude on the pitch is maintained by him on the training ground as well. When Barrow arrived in the team, he was considered as any other squad player. However, by the time he had performed his skills on and off the field he was considered to be one of the mainstay players of the team. With a team like Leicester Tigers that is difficult to establish as most players have remarkable skills to offer. Among them Barrow has managed to make a mark and it is hoped that there would be several games this season when he would be able to showcase his intensity and influence his team members to win the games.